Your Holiday Lights®: we are your one-stop-shop for custom holiday lighting design, installation, maintenance, take-down and storage. 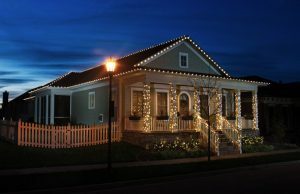 We specialize in both residential and commercial holiday light design, bringing your vision to life! If you’re like most homeowners in Broomfield, hanging holiday lights and decor isn’t your favorite Christmas tradition. It’s difficult, time consuming and dangerous! Ladder accidents are one of the leading causes of home related injuries every year. 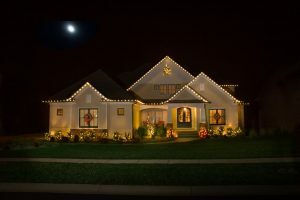 Avoid the hassle this season and call the professionals at Your Holiday Lights to help. We are locally owned and operated by the trusted home service provider, Window Genie. Our fully insured and bonded field technicians are experienced professionals who are ready to transform your home for the holiday season. For a free consultation and to discuss your design concept, call 720-596-4348 or click the link to schedule a free estimate. We look forward to lighting up your home and office this holiday season, and for many to come.